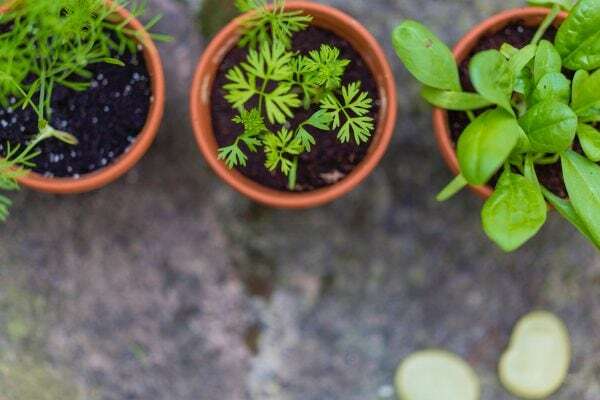 If you’re new to this gardening gig and you’re still trying to get the get the hang of things, then herb gardening for beginners is a really good place to start. Unlike Vegetable gardening and exotic flower gardening, herb gardening requires less time, effort and expertise. And the best part about herb gardening is that you can also eat what you grow! 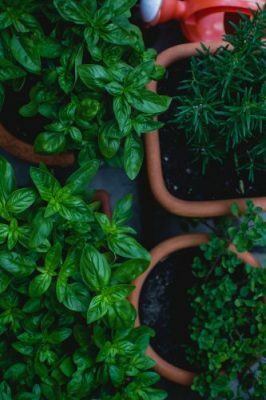 Some of the easiest herbs to grow for beginners include; sage, oregano, parsley, mint, coriander, rosemary, basil, chives. What You Should Know Before You Start an Herb Garden. Reason’s for the herb garden. Be sure of why you want to plant a herb garden. Do you need the herbs as ingredients for food, or for medicinal purposes, or just to beautify your home? The location of your herbs. Do you have an outdoor garden where you can plant or is it indoor planting, with containers? For the type of herbs you want to plant. Consider the maintenance as well. You must learn how to create a good soil amendment for whatever plant’s you choose. Have the knowledge of nutrients as well, to use in your soil. Do you want to start planting with seeds or seedlings? When you put these factors into consideration, and you have your answers, then you are ready to start planting. Determining What Plants Can Or Cannot be Planted Together? Yes.. there is such a thing! In selecting plants to grow, you have to take into account various conditions before planting herbs together. The sun, water, height, temperature, zone, are but a few factors you have to take into account before pairing plants together. For instance, a peppermint should not be planted together with other plants. It has a habit of spreading to neighboring plants, and has a very strong smell that might affect the smell of other plants. Herbs should be paired together based on the same growing conditions. Some herbs grow better under the sun, such as; dill, fennel, lavender, oregano, rosemary, sage, thyme. Some herbs are better suited for shade, such as; Angelica, chives, chervil, coriander, parsley, lavage. Each plants growing habitat should be considered before planting. Bushier plants are preferably planted in the middle. Some plants need water than others, such as; basil, parsley. In harsh weather conditions, some plants cannot survive, so a paper bag or something similar should be wrapped around the plants to protect it from severe cold. Basically before you start planting, have enough information about the kind of plant you want to grow. We find the scents from herbs generally enticing to us, unlike common garden insects; they find herb scents repelling. Herbs hardly suffer pest infestation. The smell from the leaves, stem, drive the bugs away. This means that it is beneficial to grow most herb plants around each other. For instance; common herbs like basil grows in full sun and well drained soils. 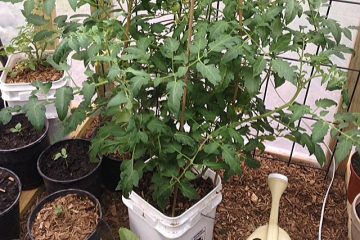 They can easily be planted next to annual vegetables, and they are good for repelling mosquitoes. Chives grow best in partial shade to full sun, and repels nematodes. Garlic grows best in full sun. It can be planted next to perennials like roses, raspberries, and it deters caterpillars. Rosemary as well, grows in dull sun and can be planted next to annual vegetables like cabbage and beans. Dill and mint can be planted beside cabbages as well. A good soil must have the right amount of moisture, nutrients and drainage. Add composited manure and some sort of drainage to prepare soil. You can add a bit of limestone. The herbs you want to grow also help you know how to amend your soil. Add a little bit of garden soil, peat moss, and mix. When you wet the potting soil, it should gently fall apart. It should not be too damp. Add gravel underneath your soil, so you do not affect the plants from growing. This also helps provide good drainage for the herbs. Ancients have always used herbs for different purposes like cooking, as tea, healing, and so much more. Generally speaking, herbs are plants that do not have a wooden outer structure like a bark in trees. They are grown primarily for their leaves. Annual (1 year – it has one season), Biennials (2 years – it sets seeds on the second year), Perennials (live for several years). Herbs that can live for several years include: basil, chives, rosemary, thyme, mint, oregano, chervil, parsley. Knowing the type of herb you want to plant will help you decide how much effort its going to take and where you want to plant them. There are a list of plants to choose from. Pick the right herbs for the particular aspect you have in mind. Have the right tools for growing your plants. 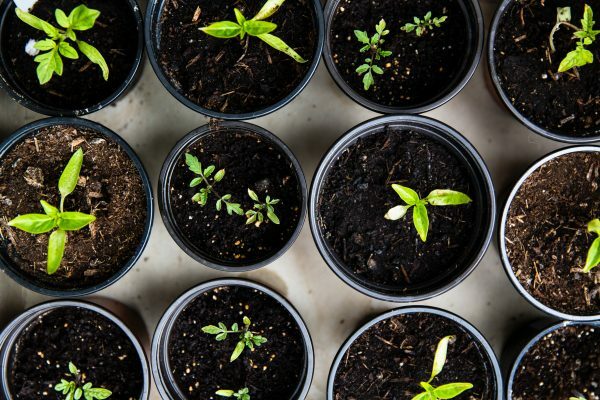 Consider growing habits for each plants. Start with a good container, good soil, and plants. You can start with plants like rosemary, onion chives or basil. Consider sunlight. Some herbs live outside all year. Some have to be indoors. After choosing your herbs, preparing containers, and soil, there should be drainage holes, and gravel in the bottom. The top should have a loose composited soil. Most herbs can be planted together. Plants grow best when sharing a home with others as they have similar needs. Herbs do not need a lot of water, but they should also not be deprived of water. It is best to water the herbs in the morning, but never at night. Plant your herbs deep enough to cover up the root, but do not cover the leaves. Some leaves grow taller than some, so you can plant those deep enough. You can plant rosemary, oregano, marigold, basil, sage and some other plants together. Peppermint should be planted separately, except you are sure there is enough space for it to grow and branch out. Peppermint can drown, it is easy to grow without a farm. Nothing kills it. Cover your plants with a lot of dirt, at the sides, so it can grow well. Water the soil, not the leaves. Water the herbs with organic liquid fertilizer during growing season every few weeks. Note that herbs do not like to sit in water for a long time, so make drainage holes. This is done primarily from cuttings. Easier herbs are rosemary, thyme, mint. Get your cuttings from the softer and less woody parts. Remove the bottom leaves from the plant you cut out. Place your cuttings inside a clear container filled with water. Place this container close to a sunny window sill. The water is likely to evaporate due to the sun. Replace it. If the water becomes dark, do replace that as well. After a couple of weeks, the plant would have rooted. Transfer this new plant into a soil suite for the type of plant it is. Fertilizing the soil. You can use a prepared tablet to fertilize the soil by placing the tablet and situating it inside the dirt as far as you can for about six weeks. You can also use compost that you might have used before, sprinkle it into the soil as summer goes on. Do not forget to replenish it. Winterizing the Herbs. You need to dig the herbs and plant them in a fresh soil, check for insects as well. Choose plants that are deep enough for roots to transport inside. Ensure the potted plants are outdoors, but out of sunlight. Maintain five hours of sunlight. Do not let the leaves touch the cold windows. Group the herbs closely to create humidity. The winter kept herbs only need to be watered once or twice a week; mornings. Harvest the plant in small quantity. Harvesting/Pruning the Herbs. When the herbs are growing and spreading out, you can prune the herbs by cutting it with a good pair of shears or scissors. By cutting off a couple of pieces. Trimming the herbs will make them continue to grow and spread out. Avoid using your hands to pick the herbs. They might pull out. Never hesitate to prune your herbs. The more you cut, the more the herbs grow. Storing herbs. It is better to harvest your herbs when you need them as they are better off fresh. For storing, you can place the pruned leaves inside a container containing water. Some plants can also stay fresh inside the fridge for close to a week. For long term storage, drying is recommended. Dried herbs can be kept for as long as two to three years. To do that, rinse the pruned leaves with water, and leave to dry in a closed, yet ventilated space for a few weeks. When it is very dry, you can grind it. It is better to grind it before use. Store in a warm place. 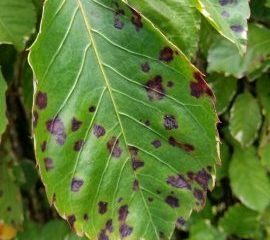 Note that if the leaves turn black or develop mold while drying, discard it. It is very convenient to grow herbs in a container especially if you do not have a farm, and you live in a smaller apartment. Containers can be moved or placed anywhere. Many herbs make excellent container plants. Plant those that need similar light together. Learn good combinations of herbs that can be planted together. The herbs will all stay small and it would not grow big like planting it on the ground. Keep the herbs trimmed and compact so they do well in the containers. Also ensure they have space to grow. The containers must have a drilling hole for water to pass through, as the herbs do not like to sit in water for a long period of time. Pay more attention to watering. Soil dries more quickly in a pot than in a garden. Get the biggest size of containers you can find. It allows your plant a number of herbs and ensures the proper depths. Get appropriate soil mixture. You cannot just use any type of soil to plant your herbs. They might not grow. Nutrients are good in your soil. If you know the right nutrients you can add in your soil to improve the growth rate and vitamins for your herbs, the better. Plant densely (lightly). Ensure not to choke the plants together. Water appropriately. Don’t over water your plants. Learn as you grow the herbs. Common Mistakes New Gardeners Should Avoid. Growing from seed. Instead, grow seedlings. Growing seeds need a better understanding and handling which a new gardener might not be able to achieve. Start by growing simple plants, like basil. Do not start with complicated herbs. Do not over water your plants just because you can. The plants need just the right amount of water. Cut the herbs early and often. This helps the herbs grow better. While pruning, do not cut the big leaves, instead cut the small ones. The big leaves help to keep your plant strong. Ensure to use good soil for your herbs. Know your herbs. There are different types of herbs. For instance, you want to plant a mint herb. There are different types of mint, and they have a different way of handling them. Select your herbs carefully. Herb gardening is beneficial to us in so many ways. Herbs can be used for cooking, healing, adding flavors to food and drink as well. Imagine having all of this at your disposal. As a beginner who wants to dabble in a little gardening? I’m sure by now you already know what your first step should be. 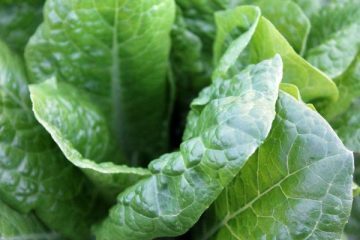 How to Start a Vegetable Garden from Scratch?